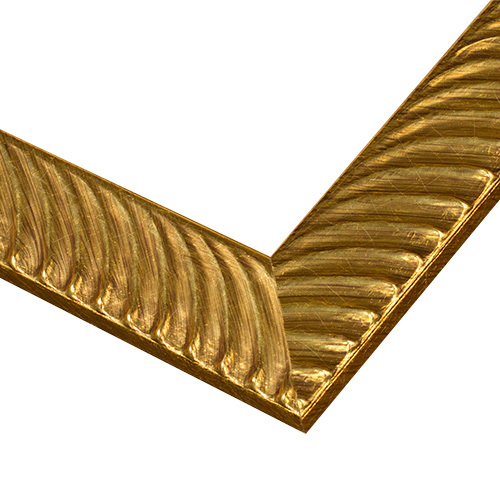 This picture frame’s shiny gold art deco motif is a true artist’s choice. Its unusual design includes an angled profile with a feathered relief finished in a subtle distressed crackled gold foil leaf. Your art prints, posters, photos – whatever you choose to frame – will look stunning. This was a little heavy for the piece I was going to use it on. (Watercolor) but would be very good for a darker or more intense piece of art. It is a beautiful frame, just not right for what I had originally intended.